"Uplifting" is a term we use to designate Goa trance and full-on psytrance that possesses an overly melodic, emotional, or even cheesy quality. 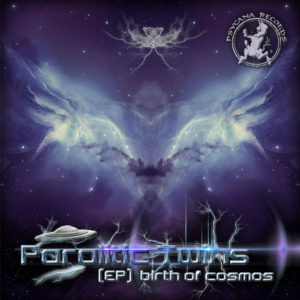 Psycana Records is proud to present Birth Of Cosmos, the debut release of the promising project Paralitic Twins from Mexico. This collection of song blends a mixture of pianos, violins, acoustic instruments, synthesizers, virtuosic melodies, sweet sounds, and riffs full of true elegance. With psychedelic, acidic, and sentimental atmospheres, this dives deep into full-on psytrance vibes with a fresh style and special approach. Mastered by Aleksandar Ristic (Red Psy) with design by Lenin Agustin Severo (Natural Disorder). MP3 Download | FLAC Download | WAV Download · Download count: 10,872. Australian label UP Records presents the latest release from Organic Soup (Ariel Oshansky), an artist based in the Middle Eastern state of Israel. In a tribute to Ariel’s Goa trance roots this melodic and powerful release is dubbed Old Timers. Featured here are several reworked and foundational projects from deep within the vaults of Ariel’s data banks. Apart from the opening number this full-on workout includes a remarkable remix of Organic Soup‘s track, People of the Earth, by fellow Israeli producer Scopelyser (AKA Yoni Ohayon from Ashdod, Israel). Jumping across all wavelengths of sound the release finishes with a stellar remix to Vibe Tribe‘s timeless track Thriller, a heavyweight reborn in Organic Soup idiosyncratic style. 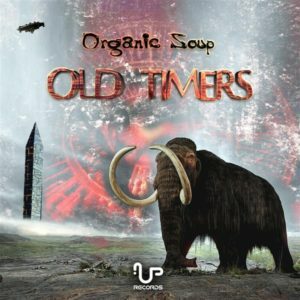 After the success of the Technological Boom album, Old Timers is just another taste of more to come from Organic Soup! Mastered by Raz Kfir/Upgrade, Israel, with graphics by Kyle Cook/KCDesigns, Australia. MP3 Download | FLAC Download | WAV Download · Download count: 14,960. 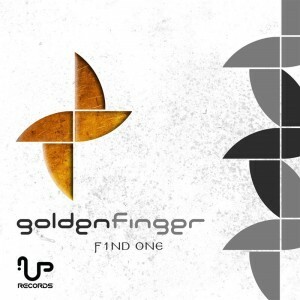 UP Records is very proud to present F1nd One, a timeless fast-paced melodic journey by Etay Avarham AKA The Freak Show of Israel under his uplifting Goa trance alias GoldenFinger. With his many years of experience with the sound, style, and structure of classic golden age trance Etay has been redefining a legendary style with the GoldenFinger project’s modern production aspects. This is an adventure for the ears to remember featuring collaborations with Nitzhonot duo Magic Mizrahi AKA Sanga Carlos Cantounis and John Panierakis of Greece plus Atanasys AKA Atanas Zaykov of Bulgaria. Enjoy this blast from the past with a modern twist! Mastered by Sanga Carlos Cantounis and John Panierakis. Graphics by Eutuchia, Greece. MP3 Download | FLAC Download | WAV Download · Download count: 15,809. Ego Killer is the latest blast of progressive energy from Open Source and Ghost Label Records, Greece. This 80-minute journey is meant to elevate the listener to a new level of awareness reflecting the overwhelming growth in popularity of highly emotional, melodic trance. Unique melodies and abstract instruments combine to create a sentient musical dose of life-and-death bliss, allowing you to explore the edges of consciousness. Death is not frightening, for it would seem frightening to Socrates if indeed it was. During the short breath of existence that we call life, a man’s instinct provokes him to be loved, and if not loved to be admired, and if not admired to be respected, and if not respected to be feared, and if not feared to be hated. Whitewashed from his biological necessities, a man without ego quietly awaits his ending to fulfill his destiny. MP3 Download | FLAC Download | WAV Download · Download count: 17,674. 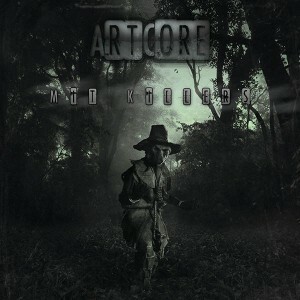 Artcore (Ron Levanon) returns with Myth Killers, a full-length album on Zombster Records. Building on the explosive full-on style of Bedtime Stories, this album is packed with colourful and vibrant melodies designed to take you on a psychedelic journey across time and space. Mastered by Mothership Loudspeakerz with artwork by Silver87. MP3 Download | FLAC Download | WAV Download · Download count: 15,207.